Believes most folks buy primarily on looks when they should buy on the mechanics of a car. Tim says, "Looks sell, but mechanics make it." Lifelong mechanic who enjoys working on specific engines and specific models of vehicles. You will find those engines and models in the Turnkey Auto inventory. Tim only sells vehicles he believes in. 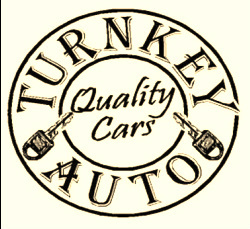 Has many customers who have purchased multiple vehicles from Turnkey Auto. We appreciate our repeat customers and referrals and realize they are the key to our business. Thank you so much! Appreciates the peaceful, friendly setting he works in, and immensely enjoys meeting and visiting with customers. Enjoys cars, vintage mini-bikes and go-carts. Still has his very first vehicle, 1973 Chevy pickup. Internet vehicle sales, marketing and finalizing paperwork. Knowledgeable about all the vehicles we sell. Diligently stays on top of the current car market and what is needed in inventory. ​At times, will detail out a whole car and thinks she is exceptional at it. Enjoys visiting with customers about their car needs. Loves to cook but can't cook without a recipe. Check out her crazy cooking endeavors on the Turnkey Auto blog.